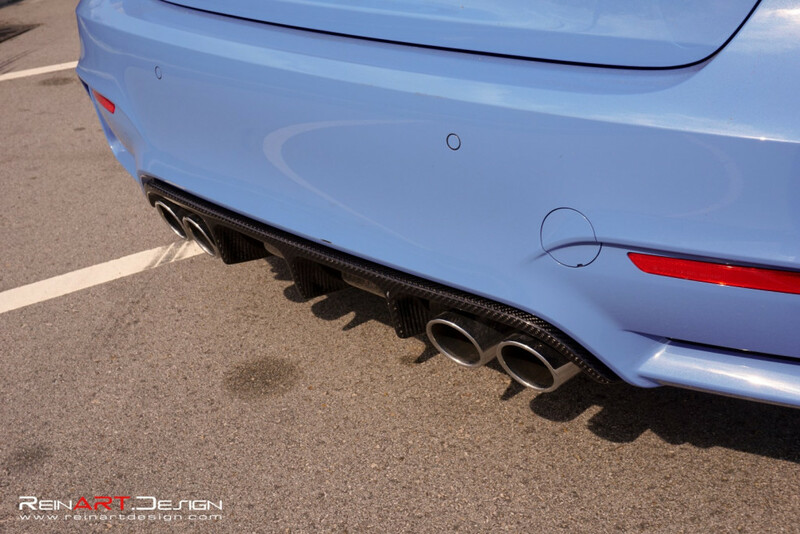 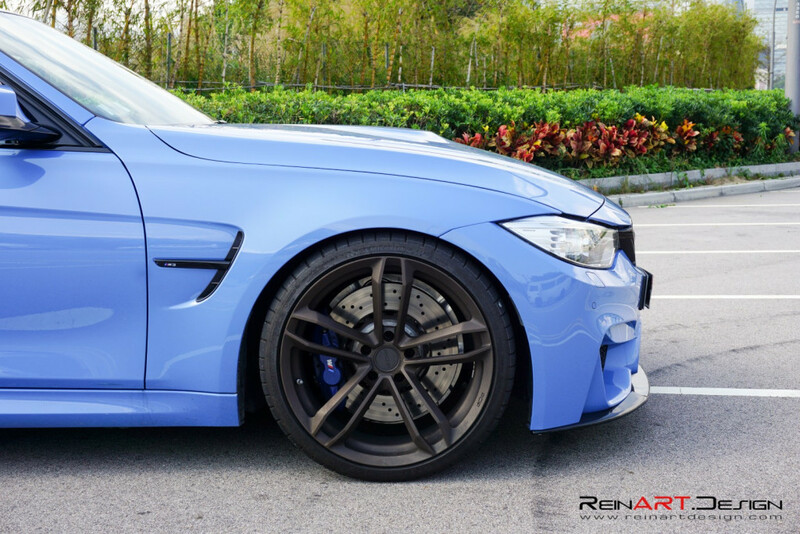 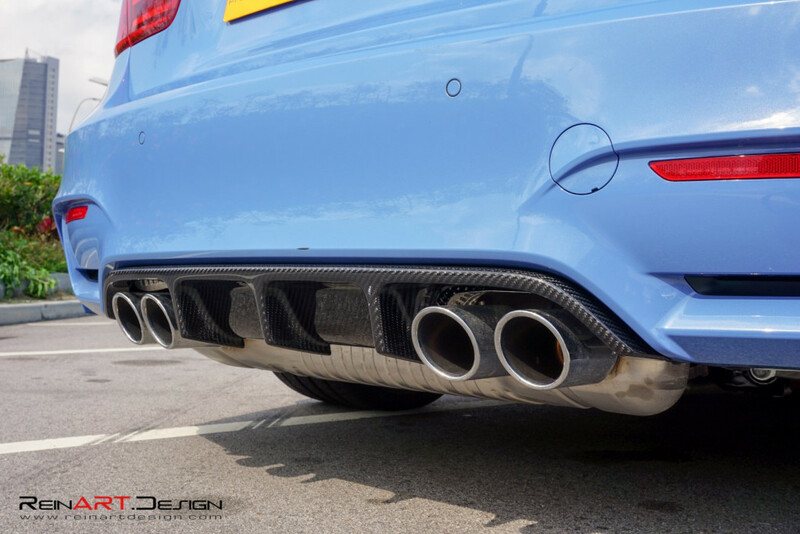 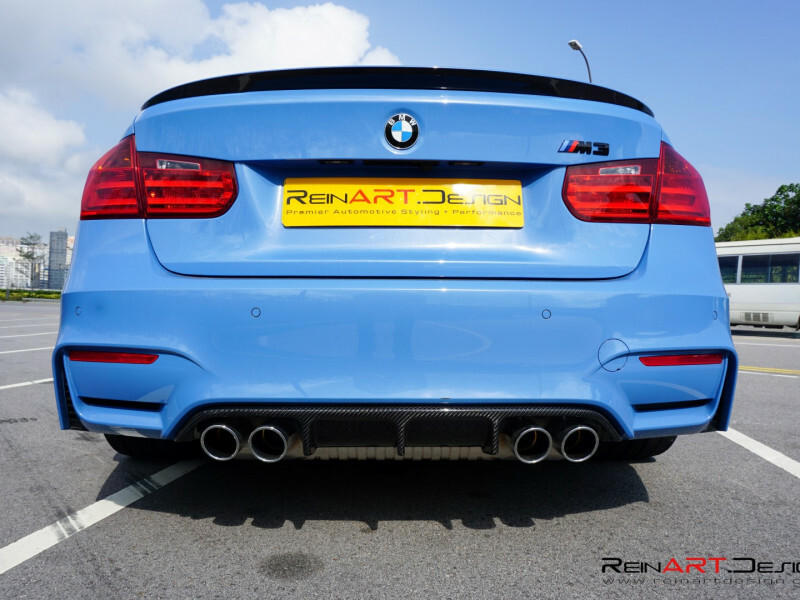 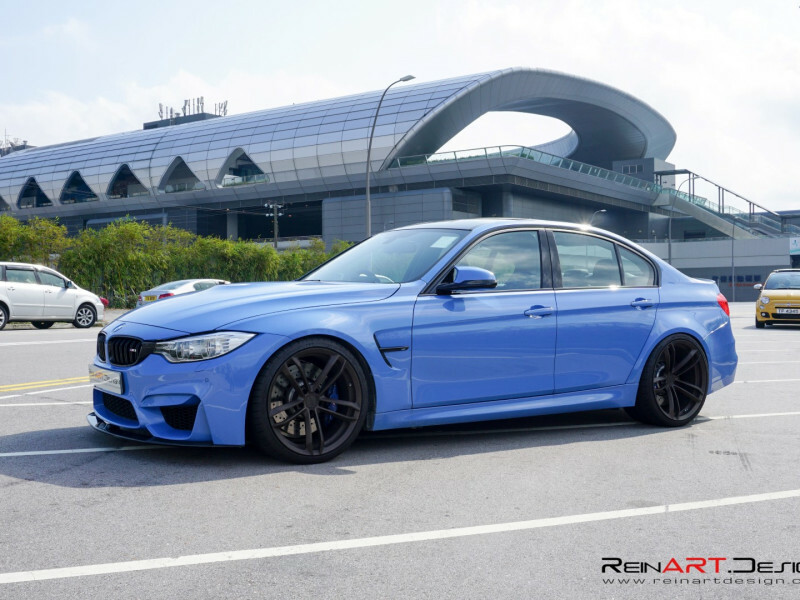 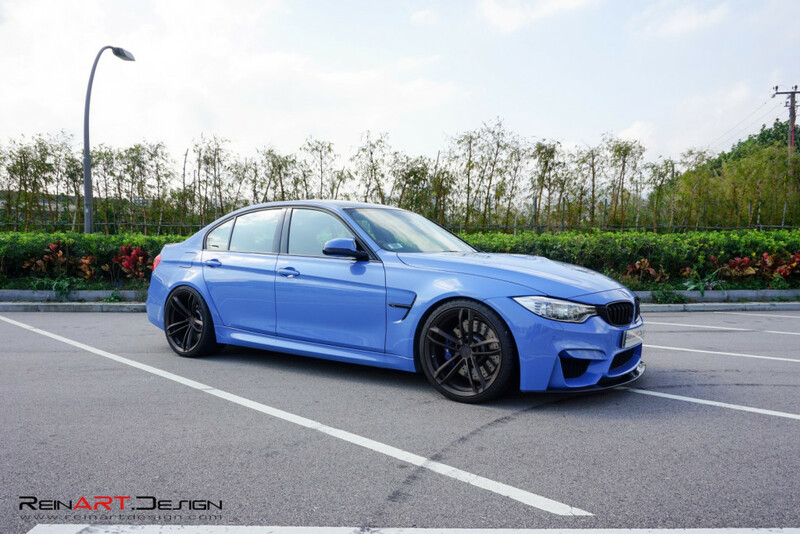 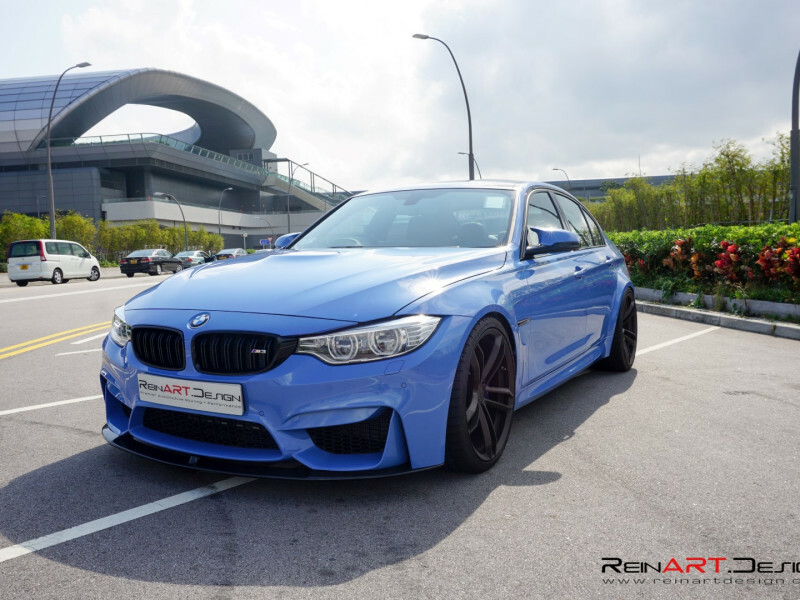 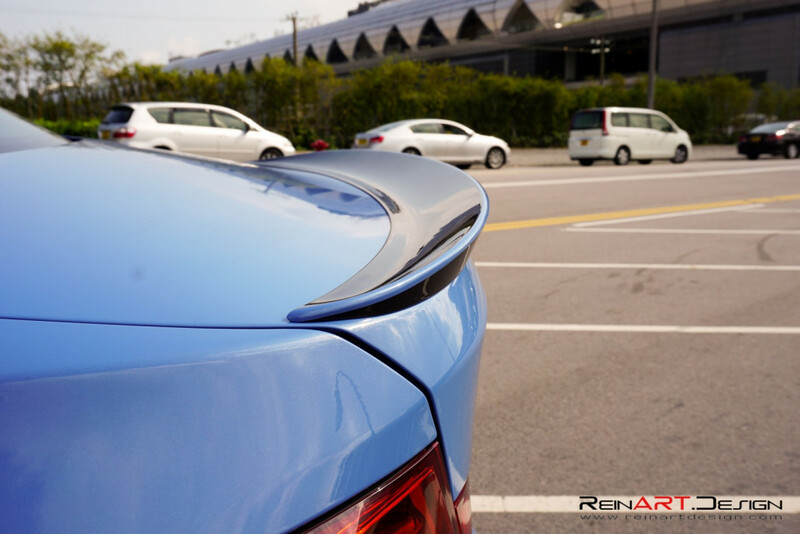 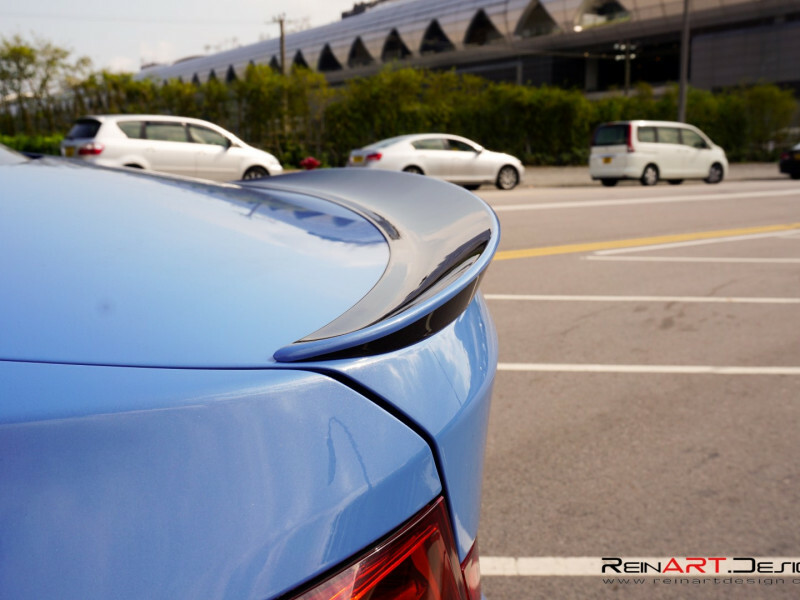 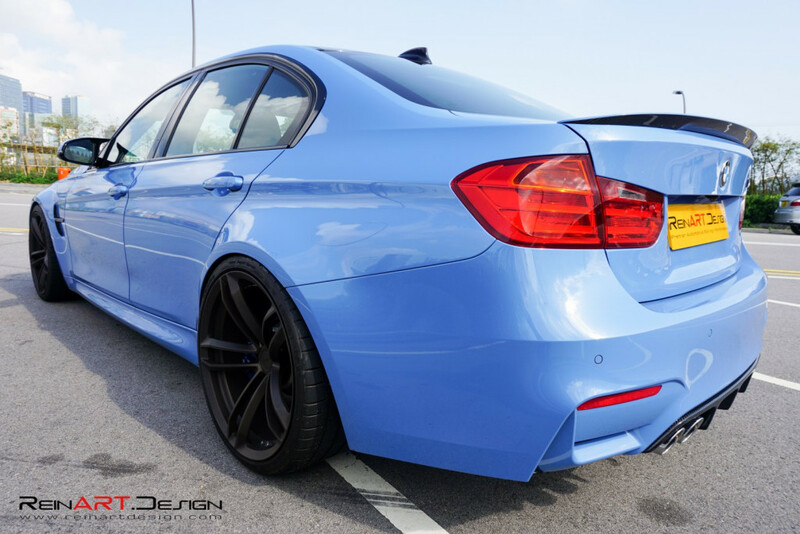 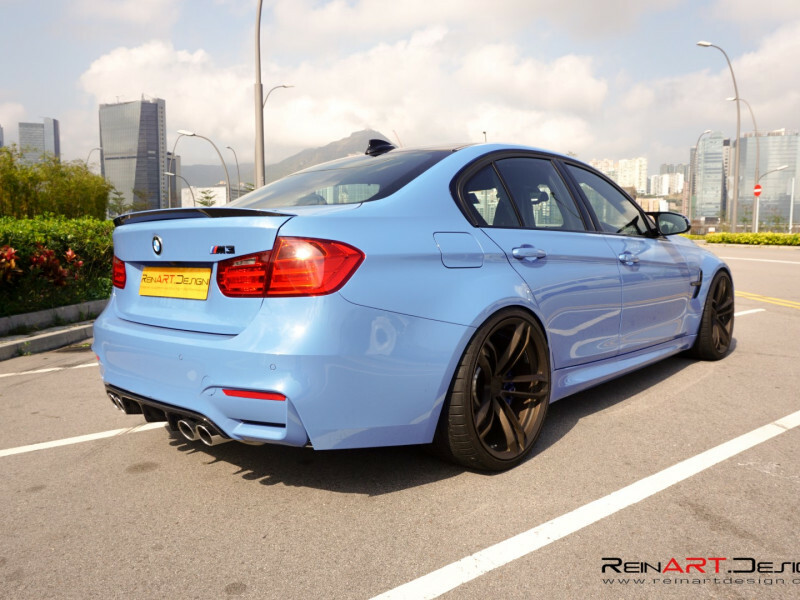 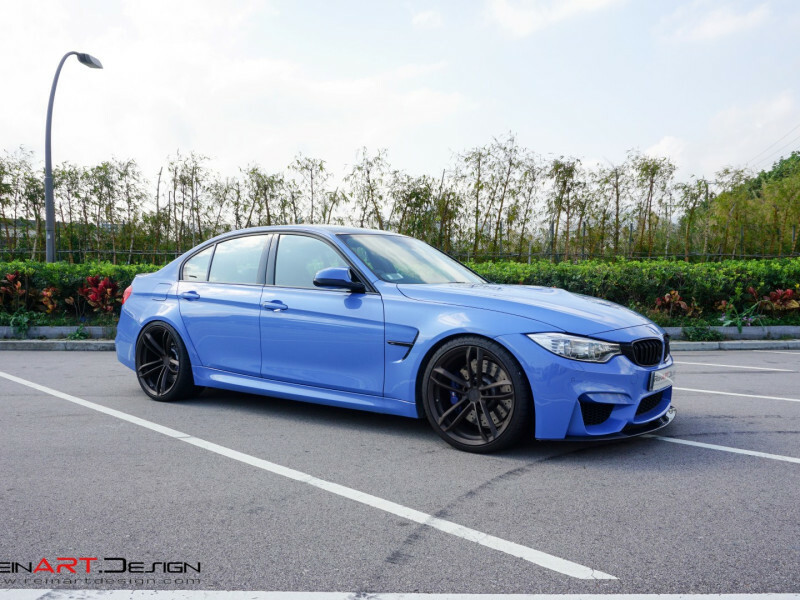 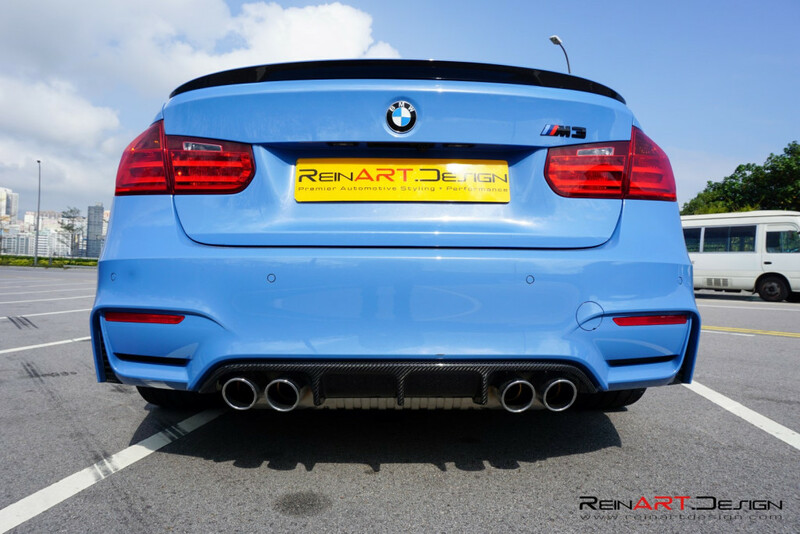 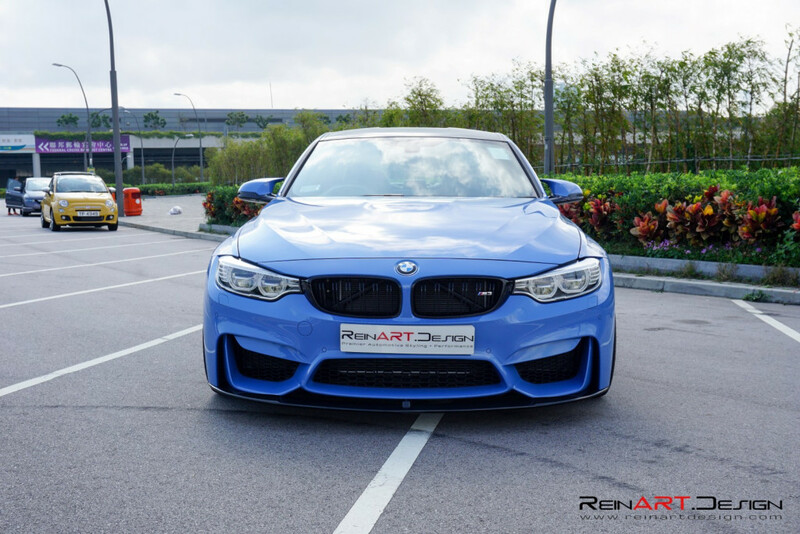 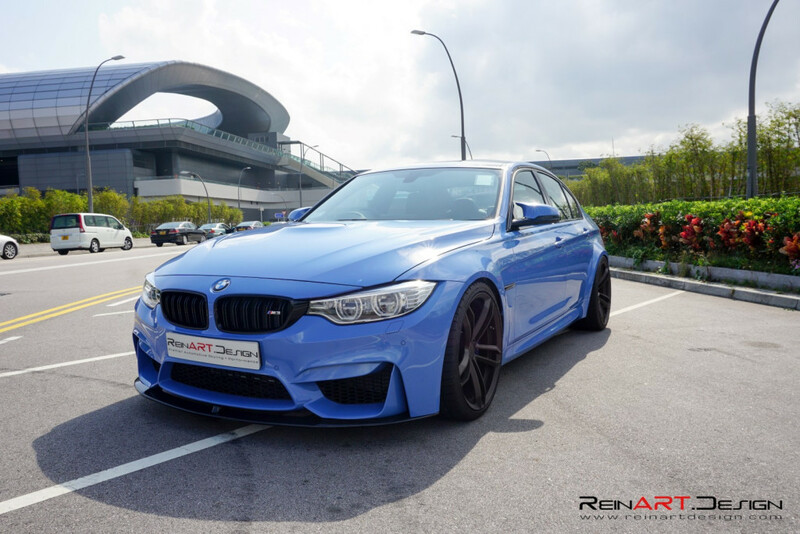 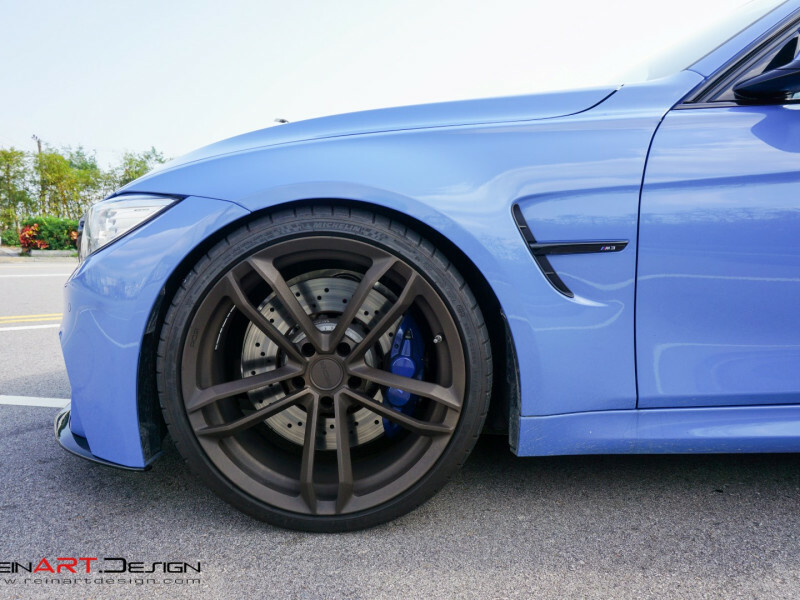 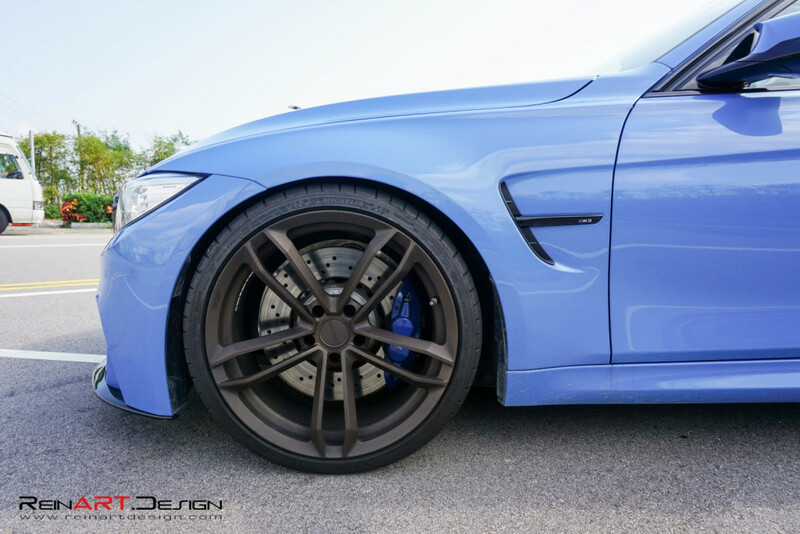 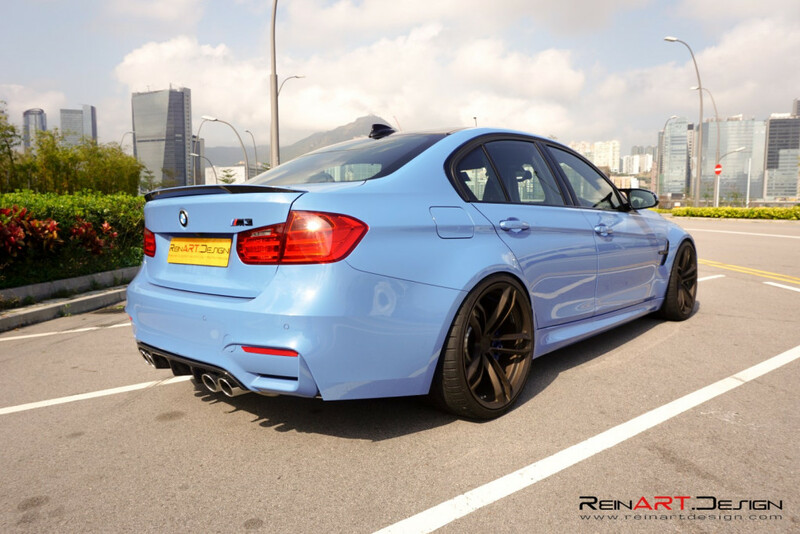 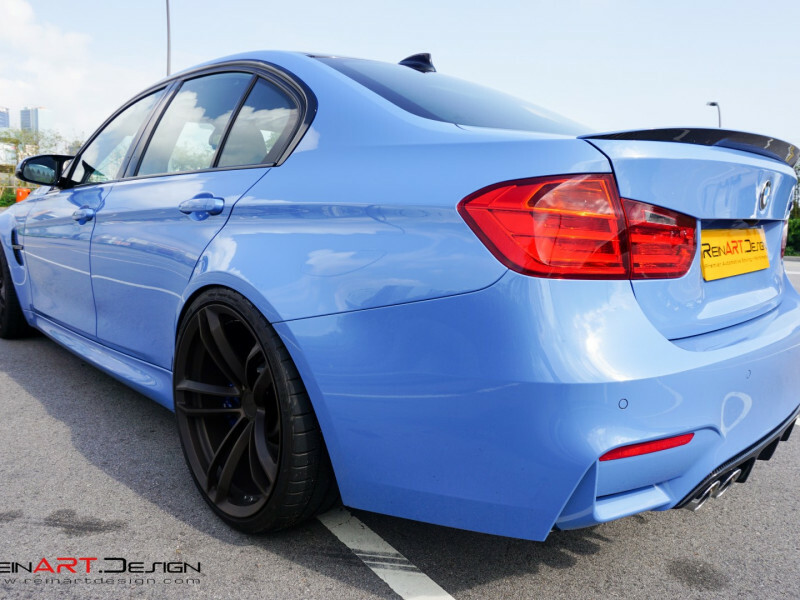 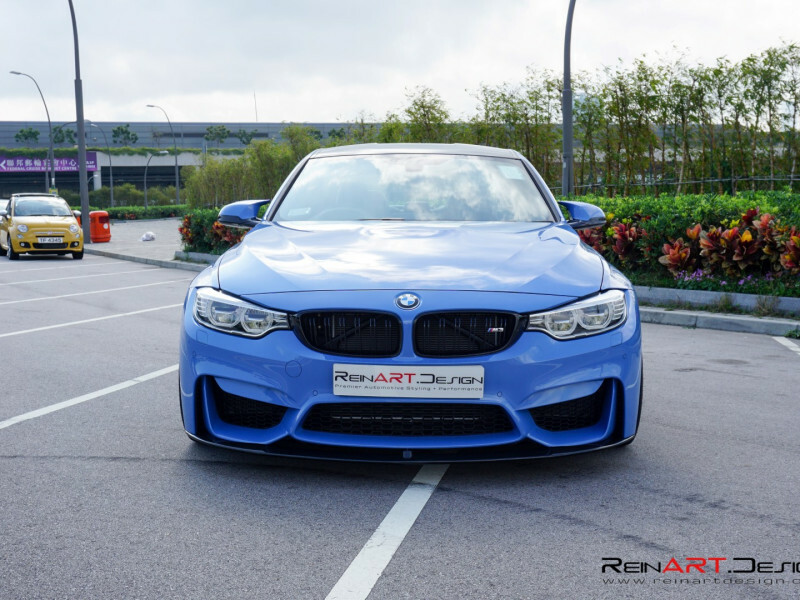 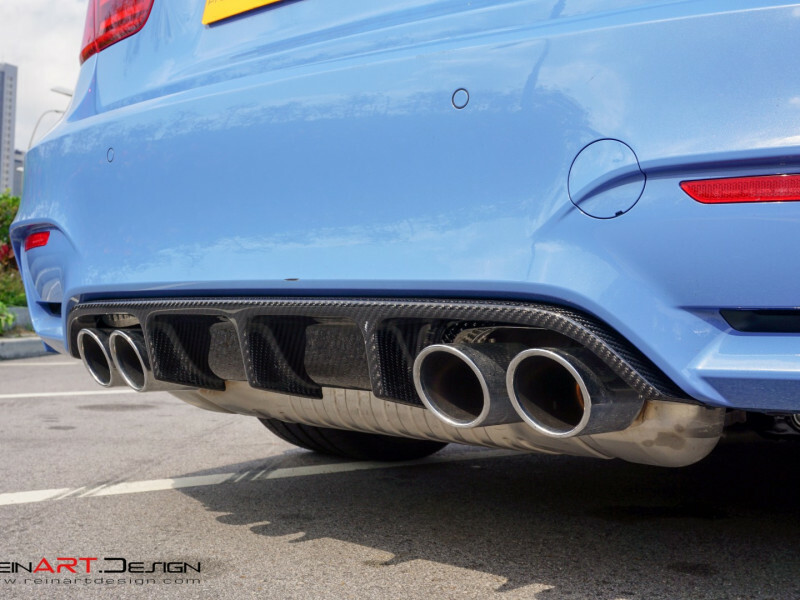 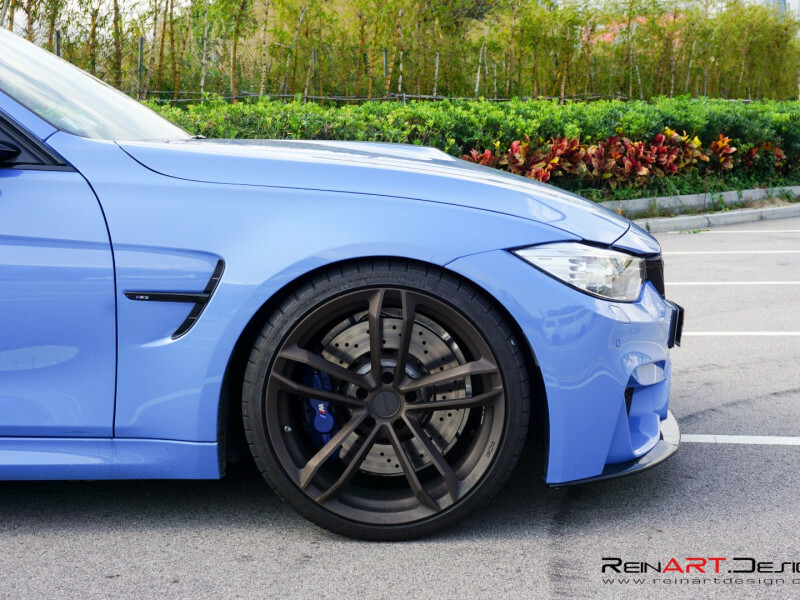 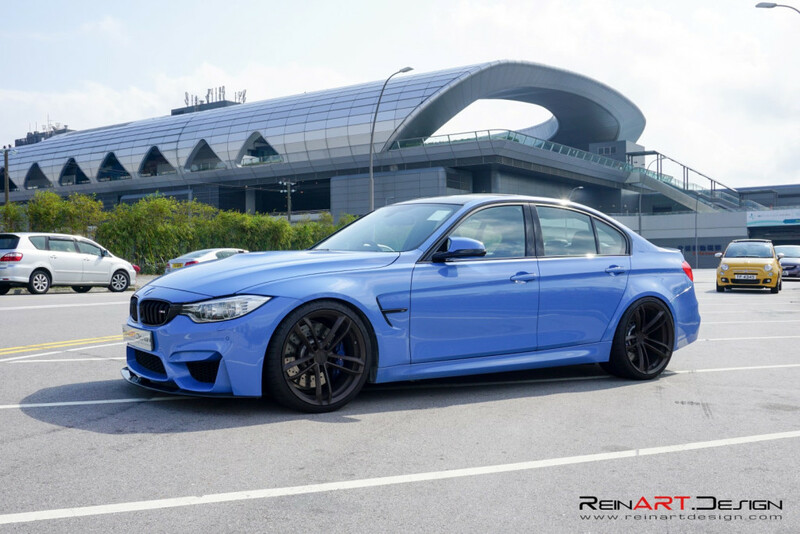 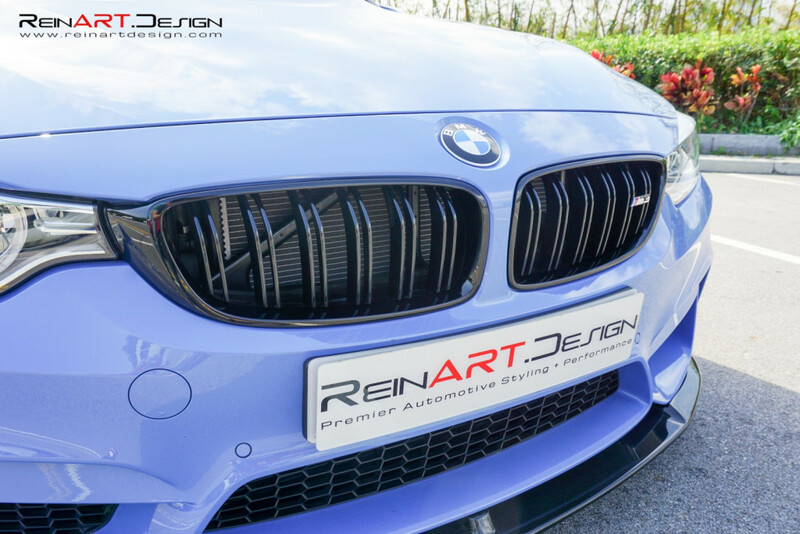 Immediately after being delivered, this Yas Marina Blue F80 BMW M3 was driven straight from the dealershop over to ReinART.Design for some much needed upgrades. 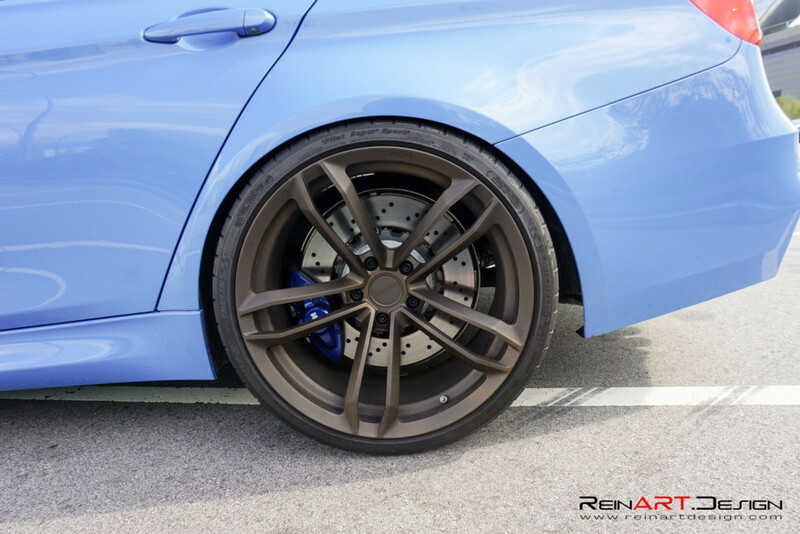 Next we fitted the car with a set of 20″ PUR RS07 wheels in Textured Bronze mounted on a set of Michelin Pilot Super Sport tires. 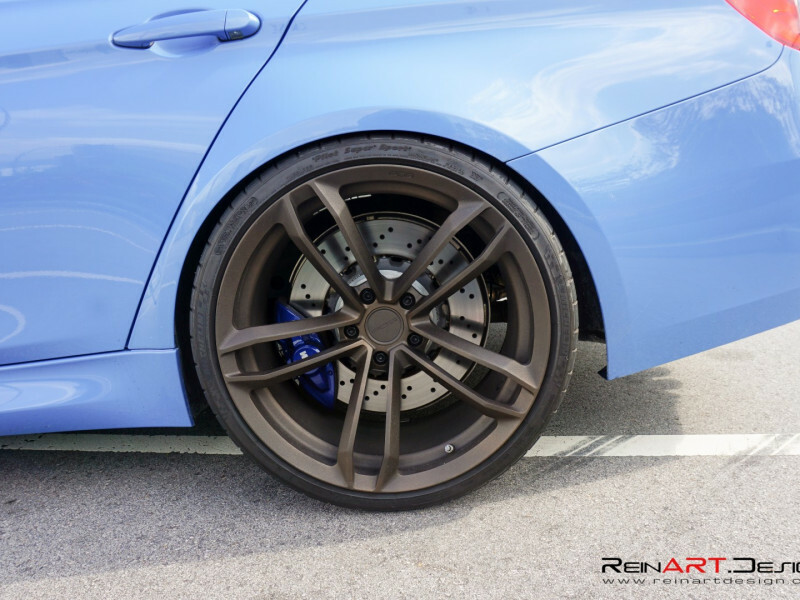 After the drop, these wheels sit perfectly flush with the fenders. 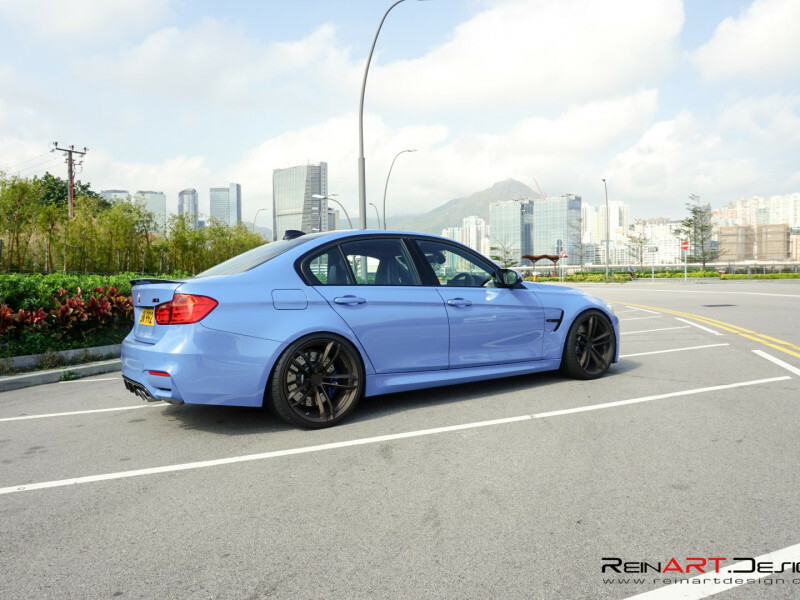 With the help of RKP, we were able to give this F80 M3 a few unique styling pieces. 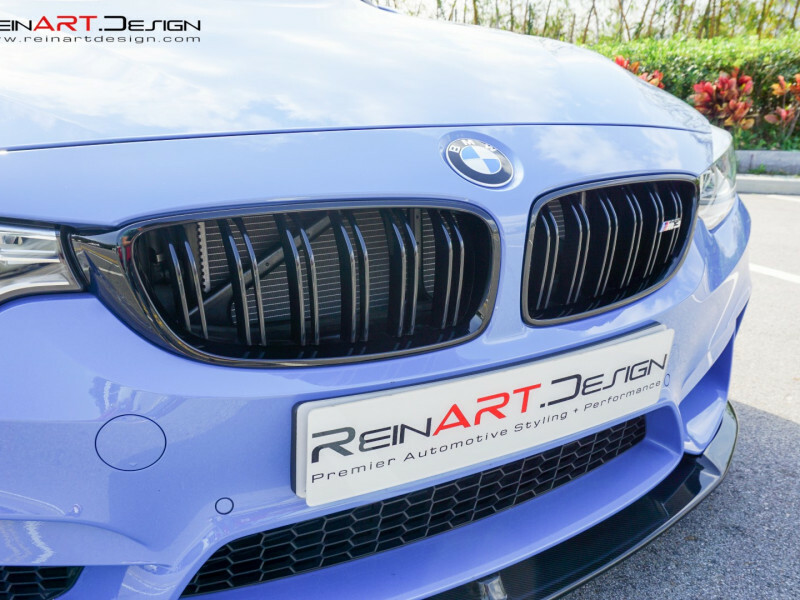 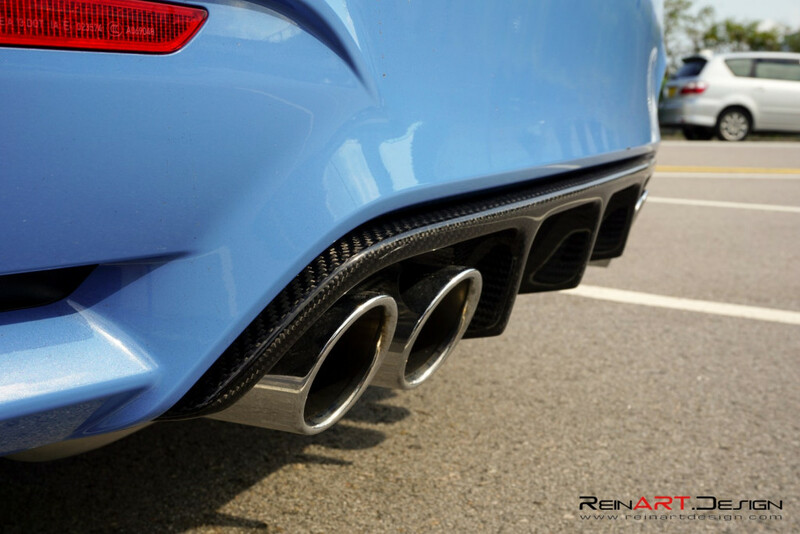 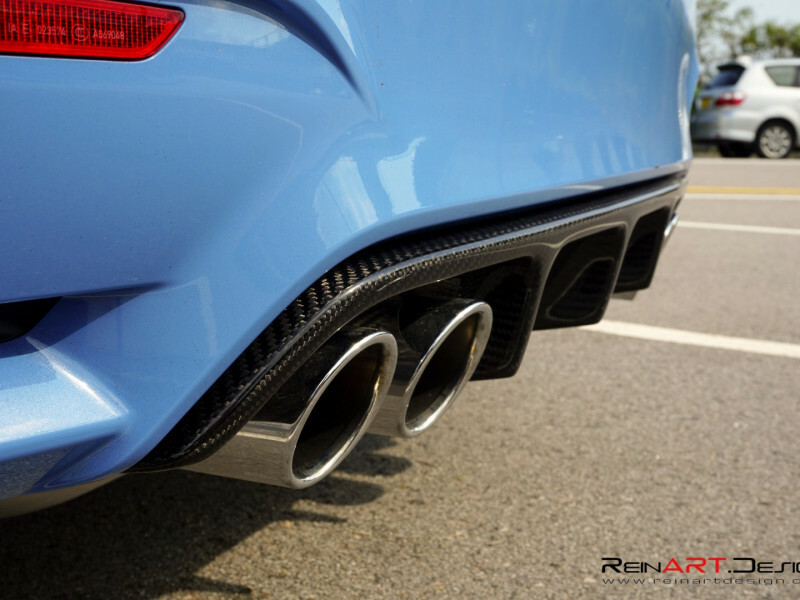 RKP is the maker of the OEM BMW Motorsport Carbon Fiber pieces and the quality of their products is impeccable. 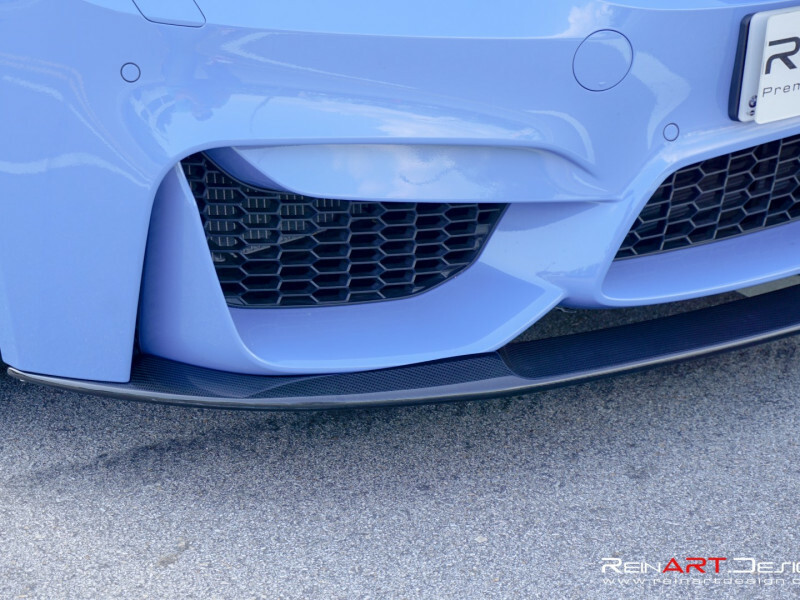 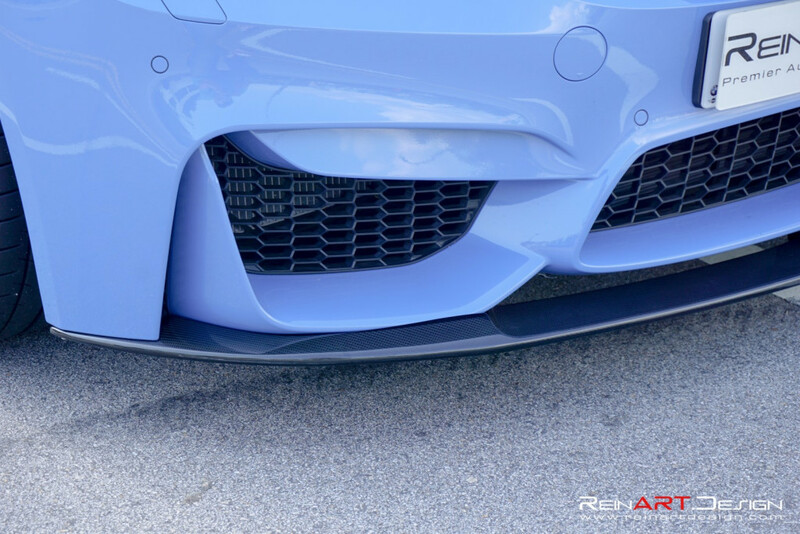 We installed a RKP Front Lip, RKP Rear Diffuser, IND BMW M-Performance Carbon Fiber Spoiler with matching blue stripe and various black out grills and badge pieces. 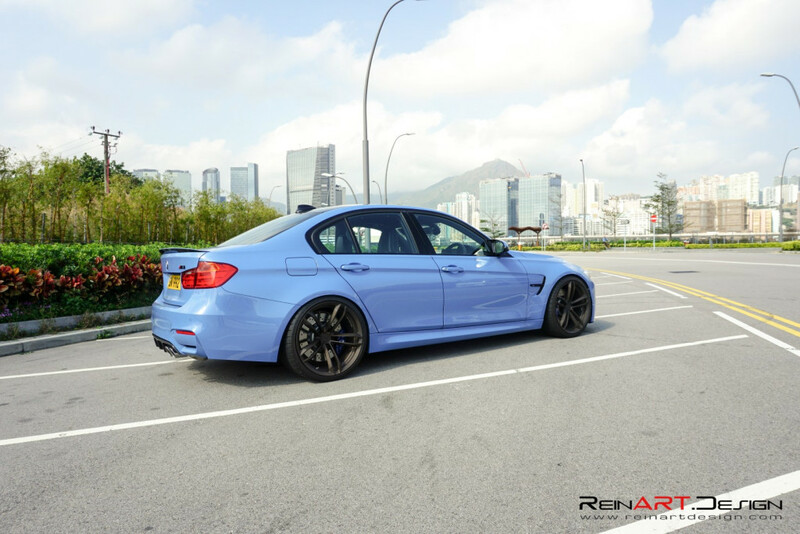 Now this car looks much more aggressive and definitely stands out amongst the pack of other M3’s on the road.